In an effort to offer promising investment and end use prospects in Mumbai, one of the biggest developers in the city has launched its major project in Mulund locality; in the suburban region of the city. Mulund is a township currently under development and has become a prime residential property hotspot these days. The L.B.S. road along with many established education institutions in the locality has made the region the new popular property hotspot of Mumbai. Now one of the oldest builders from Mulund has launched a high end project that caters to the commercial as well as residential needs of end users. This project has been named Nirmal One Mumbaiand currently has launched its residential component for investment. Nirmal One’s residential component has been named ‘One Spirit’ while its commercial component is called ‘One Discovery’. Lying near the L.B.S. Marg, the builders have currently offered residential accommodations for booking. These accommodations have been touted to be amongst the finest residential offerings in the locality. It is worth pointing out that the builders of the calibre of Tata Housing have also invested in Mulund. Therefore Nirmal Group has adequate competition. But given its historyin the region, there is no doubt that it would be one of the most reliable residential offerings in the locality. It is believed that this housing group has played a pivotal role in the development of Mulund as a residential property hub over a period of past thirty years. Now Nirmal Lifestyle- the subsidiary of Nirmal Group- has comeup with its most ambitious offering in the form of Nirmal One Mumbai. Nirmal Lifestyle Group promotes One Mumbai with housing and many other property portals. The project design comes with spacious floor plans along with elegant design structure. The project comprises of four buildings, all of which are being built using earthquake resistant structures. Nirmal One Mumbai would comprise of One Spirit (the residential component) and One Discovery (the commercial component) in the area occupied by the builders. The objective of building both categories of spaces is to allow end users to have access to all kinds of amenities from their homes. The project site lies adjacent the L.B.S. Marg in an area where the builders already have planned newer commercial establishments. The society amenities comprise of squash, tennis, basket ball and skating rink. The indoor game facility has also been made available. Swimming pool, Jacuzzi, gyms and massage zones will also be included in the societal amenities. There is the option to select from 1BHK, 2BHK and 3BHK houses. While there are standard models of 1 and 2BHK homes, the 3BHK house comes in two variants. Prices start at Rs 79 lacs and notch more than Rs. 2 crores. The floor area of accommodations ranges from over 600 square feet to over 1600 square feet. The prime advantage of investment in this project lies in its modern amenities, design and location. 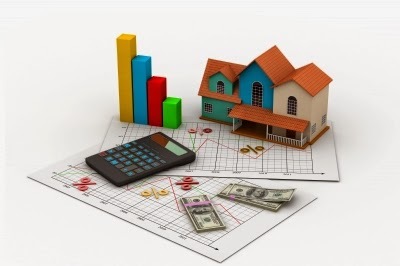 Anyone looking at a good ROI in property investment can consider Mulund as a probable option. The decades old builder is known remarkably well for being at the helm of the development of Mulund. With over 50 lac square feet of property development under its belt, the Nirmal Lifestyle group is a potent investment choice.